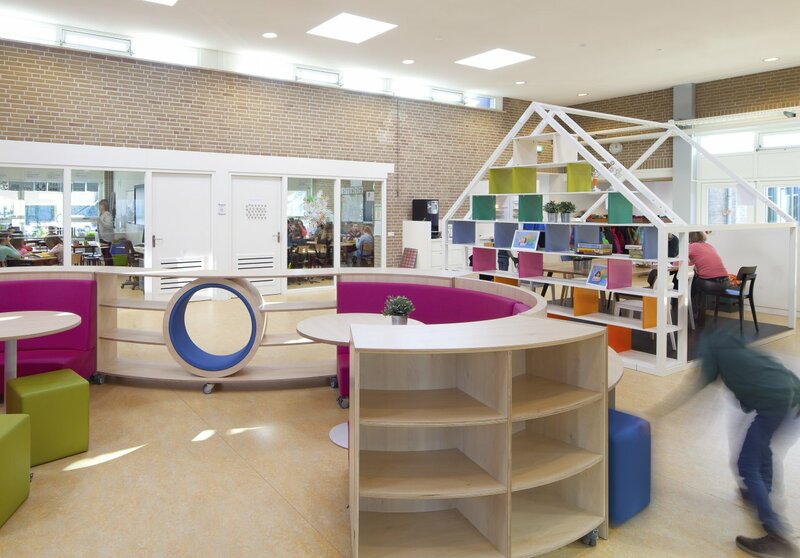 In Glanerbrug, the three primary schools OBS Glanerbrug-Zuid, KBS De Troubadour and CBS Ouverture are located next to one another. 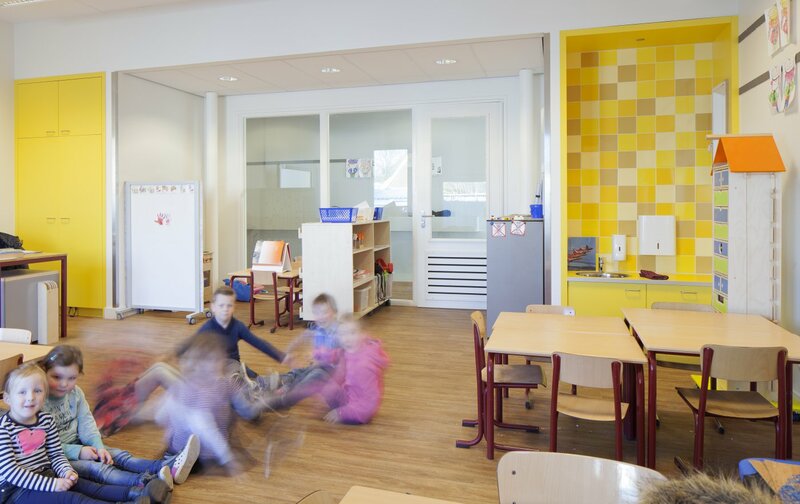 The schools wanted to expand and together with the Childcare Foundation of Enschede, offer education and childcare under the same roof of an Integrated Child Centre. Simultaneously they wanted to improve the spatial quality of the vicinity of schools and organise access to the schools in another way to reduce the burden for the neighbourhood of dropping off and collecting pupils per car. 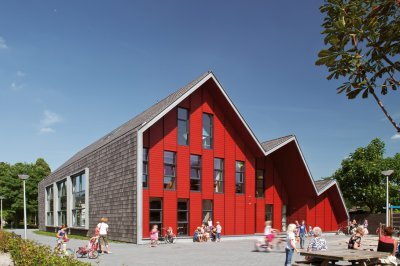 On the north side, an elongated building with new classrooms links the three schools into an Integrated Child Centre where children between the ages of 0 to 12 are welcome. 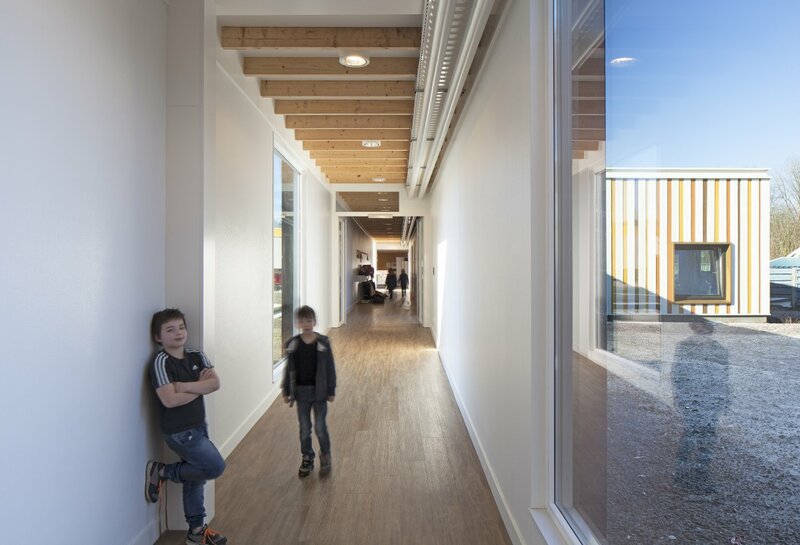 Within the expansion, a large communal kitchen, a preschool and a nursery have been constructed. The existing school buildings have been rigorously renovated from the inside. On the outside of the new building, a stuccoed chimney now marks the new entry at the common forecourt. 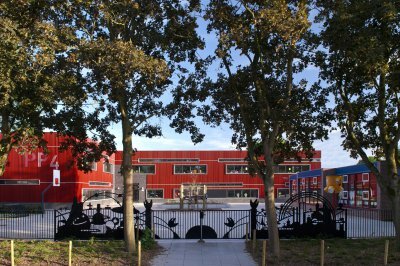 Each school has its own playground on the south side, and the buildings and squares are bordered by newly planted foliage. 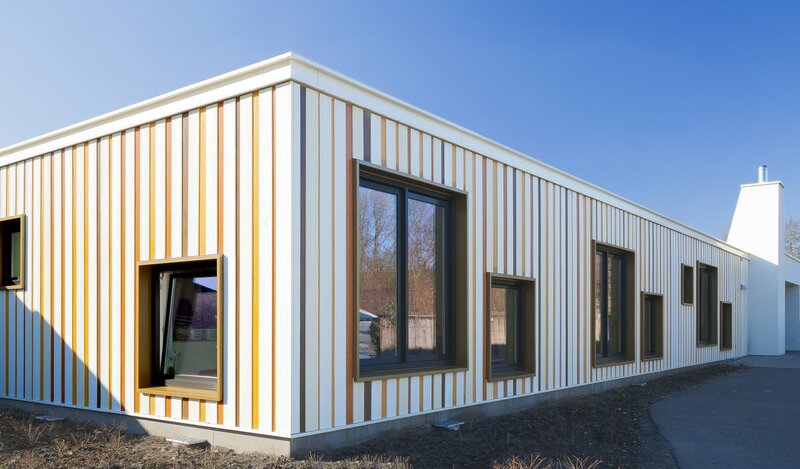 An energy efficient pellet boiler heats the new construction as well as the old building and solar panels are situated on the roofs. This results in an A+ energy label for the entire school complex. 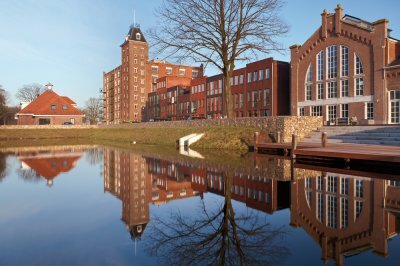 To manage the traffic flow to the Integrated Child Centre, a large Kiss & Ride area was built on the east side and additional parking was created at the Ouverturestraat.